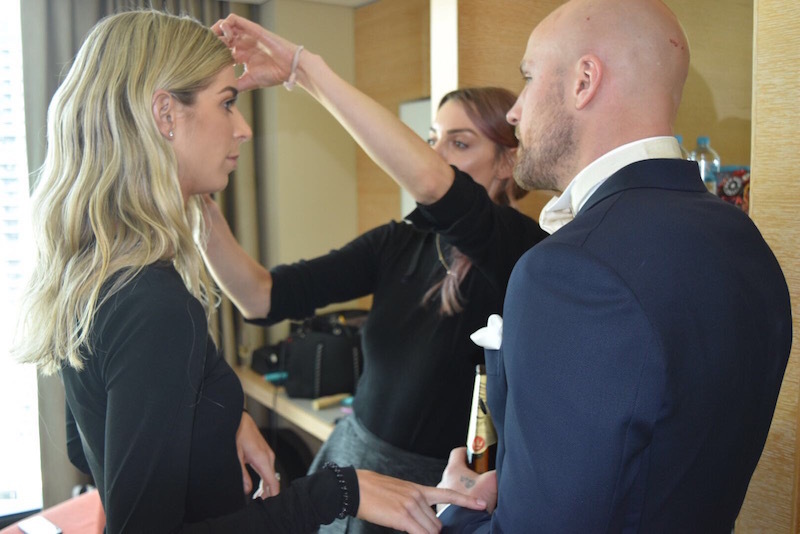 It definitely takes a village to prepare for the Brownlow and I am very lucky to have some very talented creatives to work with for what I personally find to be a somewhat daunting red carpet moment; it’s a vast change from my everyday mum attire. A very belated post, however now that the Journal is Live here is a little behind-the-scenes look into my preparation for the 2017 Brownlow, highlighting the special team of people I get to work with. For the last five Brownlows I have had the pleasure of being dressed by the ever-talented Kyha, Founder and Designer of One Day Bridal. I met Kyha years ago, when she designed and made me a custom party dress for our wedding and we have been friends ever since. Having worked together many times, I can say I wholeheartedly trust Kyha, her vision and process and as a result we are always really relaxed when it comes to meeting prior to the event. Aside from perhaps your wedding, there are very limited occasions where you might have a custom dress made for you, so I count myself very lucky to be able to have the experience and fun with Kyha and her team. As a starting point, Kyha sketches up some designs and concepts for me and then we decide which one we’ll go with. This year, we decided to have a bit of fun and go bolder than I’m usually comfortable with – opting for a bright red hue. From our initial meeting, I have a measure appointment and then the incredible One Day Bridal team get to work on making the toile (cotton/calico fabric sample). After I’ve tried on the toile, the next time I see the girls is when the dress is made in the fabric, to check the fit and make any adjustments needed. The ODB team custom dyed the lace for the dress – and you’d never know but the fabric only arrived mere days before the event! Normally this might be concerning, however I know and trust Kyha and never doubt her to make her vision come to life! After this fitting, I next lay eyes on the dress when I’m getting into it on the day of the Brownlow. Kyha has an incredible eye for design and true to her complete concept, she also sources jewels for me. I wore some beautiful drop diamond earrings from Temelli and kept it simple with my own wedding rings. This year, we decided to have a bit of fun and go bolder than I’m usually comfortable with – opting for a bright red hue. Monica Gingold has been my go-to makeup artist for many years. Having first discovered Mon when she did my wedding makeup five years ago, I love working together, she knows my face and is superb at what she does. As the dress was quite a statement in itself, we kept the look quite light and fresh, with a soft gold eye, lots of Mascara and no false lashes to keep it light and as natural as possible. 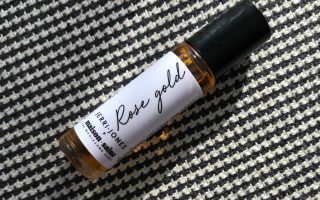 I have very sensitive skin and had a severe reaction on my face days before the Brownlow – I broke out in an angry red-bumpy rash all over my forehead (great!) So I relied heavily on my Osmosis skincare, especially the Repair Serum to calm the irritation. Repair is an epidermal rescue serum, which neutralises toxins, minimises inflammation and activates the epidermal repair to dramatically improve the skin’s health and texture – It was a god-send! Thankfully Monica was able to help me hide the rest with some good camouflage skills. I enlisted my very clever hair stylist, Lauren MacKellar from Edwards & Co who looks after my color to style my hair for the night. Lauren is an incredibly talented hairstylist, doing some really exciting work in her industry. 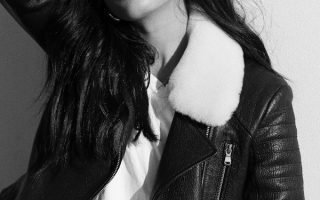 We wanted an effortless, edgy and undone vibe for the hair – opting to have it down instead of up, despite the dress having a high neckline as we felt it was more ‘undone’ and was more true to my personal style. Suzie Mcintosh looks after my brows. Suzie feather touched them for me at the start of the year. Spray Aus, I’m naturally very pale, so Em helps me to achieve the light tan I like, for a subtle glow. 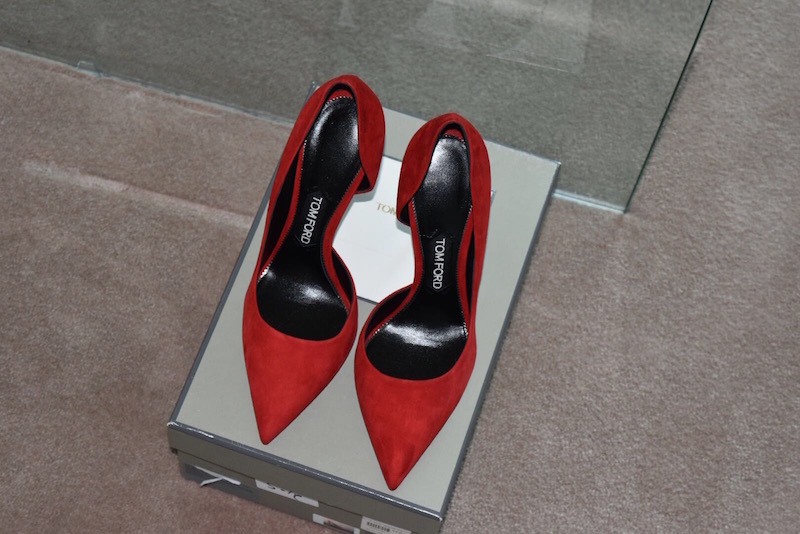 I splurged and bought some amazing Tom Ford red suede pumps with a gunmetal heel – they are classic and a beautiful addition to my wardrobe. MJ Bale sorted Nath out with a beautiful double breasted Tux, he wore with his Saint Laurent cream Bow Tie from our wedding. Lastly, my amazing business PR manager, Dani Sorace assisted on the day and made sure I felt comfortable leading into the red carpet. 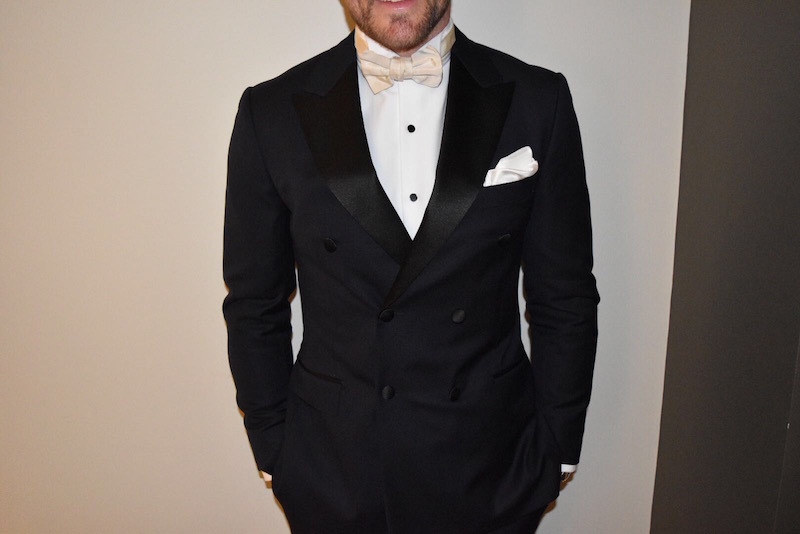 The Brownlow is all about celebrating the efforts of the boys’ season, and honouring the Best and Fairest player in the competition. As Nath’s wife, I’m proud to attend his work function with him and getting to dress up is a bit of fun. Along with that, unfortunately for some reason people like to critique the partner’s outfits and appearance which can make it a daunting experience for many, but at the end of the day everyone is just trying to support their partners and enjoy a night out after a long season invested in the game. Thank you to all my amazing friends/creatives that helped me prepare for the day.